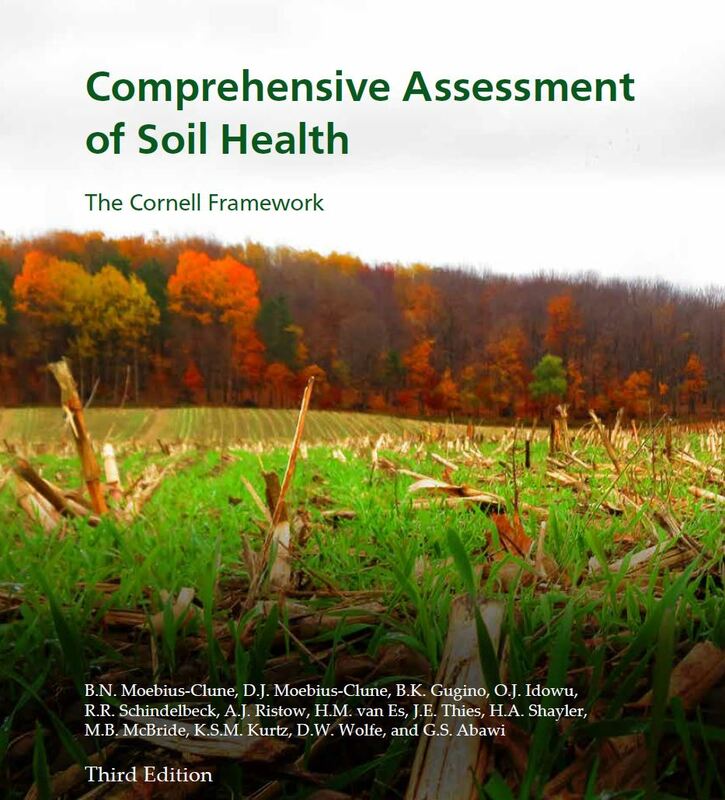 The third edition of the Comprehensive Assessment of Soil Health, The Cornell Framework Manual is now available! Printed copies are available domestically for purchase ($25, including shipping). Due to prohibitive shipping costs, we are unable to take international orders at this time. The manual is available for free as a downloadable pdf. In your email please include the number of manuals ordered and the address where you want them to be mailed. At this time we can only accept credit card payments and we can only accept payments through the pay portal. Click the ‘Pay Now’ button at the bottom of the page and you will be taken to the Credit Card Processing System. Once your payment is registered in the system we will package your order for shipment. 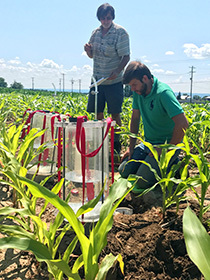 It can take up to 5 business days to process payment and get the manuals shipped, please allow for shipping and processing time. Moebius-Clune, B.N., D.J. Moebius-Clune, B.K. Gugino, O.J. Idowu, R.R. Schindelbeck, A.J. Ristow, H.M. van Es, J.E. Thies, H.A. Shayler, M.B. McBride, K.S.M Kurtz, D.W. Wolfe, and G.S. Abawi, 2016. 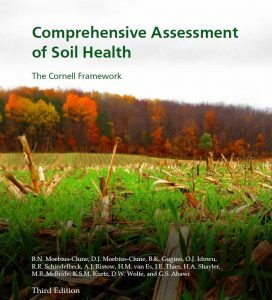 Comprehensive Assessment of Soil Health – The Cornell Framework, Edition 3.2, Cornell University, Geneva, NY.